Detectives are continuing enquiries and appealing for information after a firearm was discharged at a house in Craigneuk on Sunday. Around 2.20am, officers were called to McGregor Street, no-one was injured in the incident, however the windows of the property were damaged. Enquiries carried out so far have revealed that two people were seen running away from the street and crossing the footbridge at Shieldmuir station, towards Range Road. Officers have also been checking CCTV footage for any additional information which could assist in their enquiries. Detective Inspector Kenny Dalrymple said: “I believe this was a targeted attack, carried out in the hours of darkness, which was intended to intimidate the occupant of the house. “Firing a gun into a house is a completely reckless act. Fortunately, on this occasion, no-one was injured but this type of behaviour will not be tolerated. 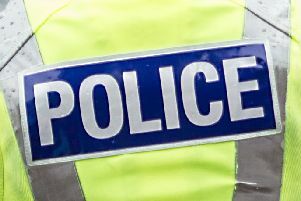 “I am interested in hearing from people who were out and about in the Craigneuk, Muirhouse and Shields Road areas between the hours of 2am and 3am on Sunday morning and may have seen something suspicious. Anyone with information is asked to contact CID officers at Wishaw Police Station via 101, quoting incident number 0714 of 10 June 2018. Alternatively, please call Crimestoppers on 0800 555 111 where information can be given anonymously.